PROJECT: Bio-G was founded in 2007 by a group of PhD’s, Operations Research experts, Engineers, and Data Modeling and Simulations specialists who had a singular goal: design and build the fastest and most accurate modeling software for the bio-manufacturing industry. 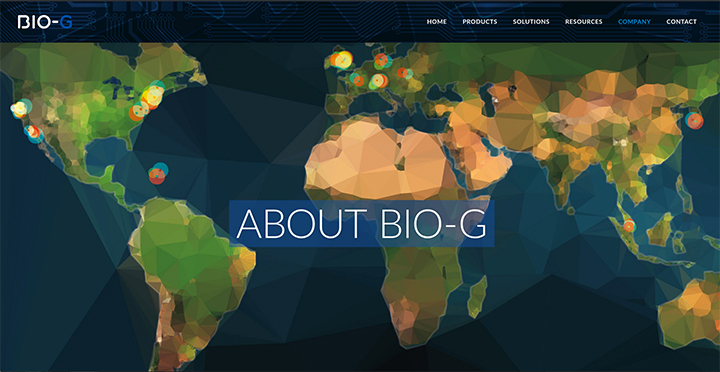 Bio-G needed a cutting edge modern website that worked on every platform and every device. I was contracted to create a WordPress based website for Bio-G based on designs by The Collective Spark of Berkeley, California.